It looks like the Union of equals has proved to be anything but equal in ways you cannot imagine. Scots can expect to live shorter lives than their English neighbours and be shorter in height as well. It wasn’t always so. Scots were once the tallest of all European peoples with Highland men pushing up the average to between 6ft and 7ft. At the end of the 18th century a survey of 600 crofters from Glen Tilt in Perthshire discovered every adult male in the glen was at least 6 feet tall – and broad with calves at least 17 inches around. The population of Glen Tilt were also long-lived, thriving on the traditional Scottish diet of oats, barley, vegetables, milk, butter, eggs, local grown fruit and honey supplemented with small amounts of meat, venison and fish. Nowadays Scots suffer premature deaths and are puny compared with earlier generations as they tuck into high sugar, high fat junk food, white bread, cakes and biscuits, sugary drinks and over-sweetened breakfast cereals with scarce a glance at the perhaps boring but wholesome foods that made their ancestors taller and stronger than them. It’s well-known that Mary Queen of Scots was taller by some measure than the English monarch Elizabeth much to the latter’s considerable displeasure but tall stature was not confined to the Scottish nobility as the inhabitants of Glen Tilt demonstrated. England aside, European monarchs were so taken by Scotland’s mighty big laddies not only did they seek them out to supplement their armies but hired them as personal guards. The Garde Écossaise was established at the French Court in 1418, and remained a feature in the Court for nearly two centuries. Francis I described his personal guard of Scots as being ‘much comelier’ than others in his pay. Hundreds of years earlier and later than 1418 big and burly Scots were prized as troops – recruited into the armies and naval fleets of many a ruler and by the nation states of France, Flanders, Russia, Denmark, Poland, Sweden. In the 17th century Sweden’s king Gustavus Adolphus depended on no less than 84 Scottish battalion and regimental commanders. His strapping Scots had been nourished mainly on oats and milk at home in Scotland and as adult soldiers ate a diet 93% bread and oatmeal washed down with ale. By contrast a servant at Gordon Castle near Fochabers in Moray enjoyed more variety in his diet with pickings off the Duke’s table of just 62% bread and meal, 10% meat, a miniscule amount of fish and 19% ale from the castle brewery in 1739. It was not only Scots men who were famously tall. Our women were also once very tall. Something changed here and elsewhere. During the early years of the Union Scotland was a poor country but it valued education and with Scottish literacy levels the highest in Britain Scots were soon travelling the length and breadth of the Empire as its administrators however the centre of the Empire was not Edinburgh but London which became the main beneficiary of the wealth created from all those resources appropriated from other nations. The educated Scot drawn to London initially found himself at a height advantage over native Londoners right up into the 1830s but the downward spiral for Scots had set in by then with poverty increasing in the Scottish countryside where a need for cash was becoming a necessity as well as in towns and the steady encroachment of inferior foods along with greater burdens of exploitative labour ravaged health. It wasn’t only Scotland’s Highlanders who stood head and shoulders above people from elsewhere. While Appletons’ Annual Cyclopedia and Register of Important Events Vol. 10 of 1871 declared ‘lunatics’ and criminals tended to be shorter than ‘sane and honest men’ even Scottish criminals were found to be taller than English criminals. Short Englishmen had no need to stand on tip-toes to catch a glimpse of big blokes for their Scottish neighbours from just over the border in Galloway were reputed to reach impressive heights while those from Berwickshire were heaviest of all our big men. Taller and heavier than the populations from the other nations of the UK Scots towered over Londoners in particular who were reported to be diminutive in stature. Within Scotland the shortest people lived in Edinburgh and Glasgow while rural areas produced the biggest. Why the difference? By the 19th century more people were moving into towns from the country to look for work and with urban living came deprivation of different kinds. Towns were unhealthy environments – overcrowded, polluted, crampt. Glasgow, said to have the worst slums in Britain and described as a “squalid industrial megalopolis” in Chadwick’s 1842 Report on Sanitary Conditions, produced a population of ‘stunted wee bauchles’ a good inch shorter than the average Scot. Towns were notoriously disease-ridden and mainly reliant on importing food from the countryside which was often none too fresh when sold. And food cost money for in towns there was often nowhere to grow your own. Diet was a major factor determining growth and health and poor nutrition was a consequence of low wages. When Scots were the tallest Europeans they existed on what’s known as the traditional Scottish diet – boring perhaps but healthy – made up predominantly of oats, vegetables and dairy – locally produced. Those people who remained in the country might have been as poor as urban-dwellers but their living conditions and available foods were better and so they grew taller than their town cousins. The acerbic and obese Dr Johnson ridiculed the Scots diet of porridge, brose and oatcakes, milk, cheese, vegetables, fruit with just a little fish and very little meat but these were foods on which generations of Scots thrived. With urbanisation came the start of junk food – poor quality and too few vegetables, milk and what was once the Scots’ bread – oatcakes. From the time potatoes made their appearance in the British Isles, in the very late 16th century, their popularity and availability increased until they eventually ousted oatmeal as a staple food in Scotland. Bread and meal were still being eaten but the percentage declined as potatoes began to make an impression, along with some more meat, fish and cheese. The bread and meal Scots of the later 18th and earlier 19th centuries were no longer 6ft or 7ft giants but topped just 5ft 7inches though they were still a good two inches taller than a man from the English midlands and three inches taller than shorties from the south of England. It is little wonder, then, that post-Union governments were driven to recruit big and burly Scots into their regiments and why otherwise despised Highlanders became targets for military recruitment drives. It has been argued that with the tallest, sturdiest Scotsmen being removed from communities shorter men were left behind to breed equally short children. Following that logic it may not be too far a stretch to link the prevalence of big and burly Scots spreading their genes across the length and breadth of Europe and elsewhere so contributing to the increased heights of our neighbours as our own heights went on the slide. At the start of the 19th century, in 1801, the people of England and Wales made up something in the region of 82% of the UK’s population and contributed 52% of the British military. Scots from a population of around 14% of the UK made up a whopping great 16% of recruits. The shortfall was made up by other nationalities: German, French and Dutch included but within the British Isles Scots’ contribution hugely outweighed that of other nations. High levels of recruitment into the British military from Scotland during the 18th and early 19th centuries began to peter out by the mid-19th century but was still high compared with England and Wales and why the percentage of Scots per population killed in Britain’s wars was much greater than from the UK’s other nations. Early in the 19th century Scots and men in the north of England were taller by at least a centimetre than their southern counterparts but compared with earlier times heights were diminishing – a trend that continued until now the pattern is nearly entirely reversed. By the 20th century Scots had been overtaken in the height stakes by the English. In 1908 working-class five-year old boys in Bradford, England average heights were 40.31 inches while middle-class boys from Cambridge averaged 40.44 inches and Glaswegian working-class five-year olds were just 40.20 inches. By 1938 Glasgow boys averaged 41.70 inches while the boys of Bradford and Cambridge were 42.24 inches and 43.29 inches respectively. By the outbreak of World War II Scots men averaged 66.82 inches and 138.2lbs compared with English average of 67.14 inches and 135.9lbs. The Welsh were shortest and lightest of all at 66.55 inches and 133.7lbs. Thirty years later in 1972 a survey of children from Scotland and England found, unsurprisingly, that children from manual working families were shorter than from middle class families. Children of non-manual fathers were taller than those from manual worker families but height disparity was less marked in mothers from different classes. Interestingly discrepancies in height by class were more striking in England than in Scotland where unemployment was more significant in determining height than social class. This blog has been very male-centred, as my sources concentrated on men and boys but I came across a curious piece of evidence that suggested taller girls were more likely to achieve social mobility through marriage than their shorter sisters – that taller girls attracted taller and possibly better-off husbands. And sticking with social class for a moment in the latter part of the 20th century English fathers from the wealthiest class 1 measured in at an average of 177.5cm – EU influence! and to appease Brexiteers out there and oldies that’s just under 5ft 10inches while unskilled men in class V were a touch under 5 ft 8 inches. English women from the same classes were 5ft 4 inches and 5ft 3 inches respectively. Scottish men from class 1 measured up at 5ft 9 inches and from class V at 5ft 7 1/2 inches with Scots women from class 1 just under 5ft 4inches and those from the unskilled class V 5ft 3 inches. By now the tallest people in the UK lived in the south of England. Something had changed. Before the Union with England and for a few generations following it Scots were markedly taller than the English. With the advance of the industrial revolution and the concentration of wealth in south Britain Scotland’s populations were subjected to increasing hardships to the extent the physical appearance and health of the populations north and south of the border diverged in opposite ways from how they once had been. I am not arguing every English man and women prospered in a smoke-infused hell that was once England’s green and pleasant lands. Brutal, alienating hard work and filthy living conditions shortened lives and the nightmare existences for the working classes in England was every bit a trial as it was for their brothers and sisters in Scotland and Wales. But there were other factors at work – a power grab in London and its surrounding counties that sucked away wealth from other parts of the UK, Scotland, yes, but also the north of England and Wales. In the 1980s Scotland’s average man measured in at 5ft 8inches. The very short Londoner had stretched to a touch over the Scot while in the southwest of England men averaged an inch taller. In Wales men struggled to reach 5ft 7 1/2 inches. I thought when I began looking into the shrinkage of Scots that our past tall stature might have come from our Viking ancestors but it appears that Norwegians used to be some of the smallest people in Europe although they now have become the second tallest, behind the Dutch so that scuppers that theory. It will not escape many of my fellow Scots that not only have Norwegians accumulated great wealth from the North Sea which they share with Scotland but they are now also over-shadowing us physically. There’s a lesson there for us, surely. Waterloo of the bloody plains? our fierce foes yielded fast. of those who won the fray? towered round their ears in flames. and their homes reduced to ash. . . .
with your own and truest race. for those wasters without morals. Let’s nail the lie. LibDems tell us how they are a moderating influence over what otherwise would be the excesses of the Conservatives in government. The LibDems far from protecting us from merciless Tory policies have enabled them. Without the LibDems the Tories would not be imposing their austerity measures on us. Let us not forget how eager the LibDems were at the prospect of getting into government at Westminster in 2010. They couldn’t wait to dump their election promises to park their bums on the ministerial limos’ leather seats and so we are faced with the present programme of callous attacks on the poorest and most vulnerable in this country. The LibDems want us to see them as the good guys in this relationship. They are not. The LibDems are responsible for every savage cut to services and every welfare attack on the vulnerable. The LibDems are as culpable for the bedroom tax as any shire Tory; as responsible for the immense pressure imposed on the mentally ill by those Atos assessments for disability benefits. Far from doing favours for the electorate LibDems have shown themselves to be consummate hypocrites. The years of the Blair and Brown governments saw an increase in inequality in the UK. In real terms the poor were being pushed further back into poverty while the incomes of the wealthiest rose incrementally. It surprised some that this should occur under Labour governments and the LibDems condemned Labour for its ideological move to the right. You might assume that while in government the LibDems would use their manifesto platform to halt social and economic inequality. So what happened once the LibDems took over the limousines of power? Inequality has increased still further. Now the UK stands comes in at number 4 in the inequality stakes in the developed world and their tenure is not finished. We can be sure that however bleak things looks now they are going to get a whole lot bleaker. And this is entirely due to the LibDems. 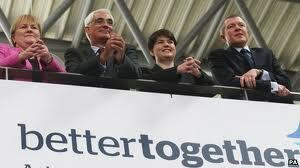 Remember the LibDems are the yes lobby fodder of this coalition government. Could it have been different? It looked for a time after the 2010 election that the LibDems might join Labour in coalition. As we know Alistair Darling promised the country savage cuts to sort out the economy and the LibDems might argue that Labour’s promises to cut harder and deeper than the Tories led to them turning to the Tories as the least Draconian option. Let’s not go there. We are where we are. We have had three years of LibDem duplicity, denials, excuses, obfuscation. LibDems the enabler party. LibDems have enabled the Tories to do whatever they like and Clegg and co are happy to take on that role. Manifesto promises. Promises shromises. Pledge dodger Clegg turned up at the LibDem conference in Dundee where he criticised Salmond for giving out mixed messages on independence. He should know about mixed messages. That is precisely what you get from LibDems. We can do the same with the LibDems in power at Westminster. And what do we discover when we look at the record of Clegg and co in government? Broken promises from a dodgy manifesto which reveals that Clegg and his apparatchiks will go to any lengths to stay in power, to enjoy riding the limos for as long as possible. It is not Scotland’s oil say the LibDems but it could be Shetland’s and Orkney’s demonstrating that when it comes to pronouncements LibDems will say anything, absolutely anything, because as we know the LibDems don’t join up the dots when it comes to principles or policies. Clegg also warns the Scottish people that it will be very difficult for a Scottish government to run its offshore oil industry ‘on its own’. This is inane drivel. Just words. It would have been very difficult for the Tories to form a government ‘on its own’. In the event it didn’t need to – it had Tories by another name, LibDems, to do that with them. Mixed-message Clegg and his mouthpieces promise Scotland will become a land of milk and honey if only we vote No. They would have us believe Scotland will miraculously flourish if we stay part of the Union. Doesn’t matter that the evidence points otherwise. Willie Rennie promise us pie in the sky in the sweet by and by but last time this was promised to Scotland – for returning a No vote in the devolution referendum of 1979 -did we get our pie? Did we hell. We got war, the poll tax, greater unemployment, the steady transfer of wealth from the public to the private sector, a sharp decline in industrial output, a reduction of affordable homes, the blatant transfer of wealth to London and the southeast. When was Scotland ever at the centre of Westminster’s planning for infrastructure, for economic development? The answer is never. And if you think Thatcher was indifferent to Scotland’s economy and culture wait until a coalition of the Tories or Labour in cahoots with their obliging little helpers the LibDems stop crowing in the event of a No return in the referendum. Prepare to be shocked. If you are thinking we have devolved government so what’s all this talk about Westminster – remember what LibDem leader in Scotland Willie Rennie said last week, ‘The bedroom tax is tough, but it is central to the welfare reforms.’ That’s right – ‘central to the welfare reforms’ – welfare and reform being key words but if you imagine reform always leads to an improvement in welfare think again. This is reform in terms of restructuring on economic grounds and this is being said by the ‘Scottish’ LibDems so don’t get fooled that a label makes them different from any other brand of LibDem up and down the country. Remember this when you vote no. You might not be poor. You might not be disabled. Lucky you. Don’t turn your back on those who are. The LibDems are looking to influence what happens in Scotland if the referendum comes back negative so prepare yourself for a stream of easy promises. Vroom, vroom – that’s Clegg being chauffeured in his limo into Downing Street. Rip – that’s him tearing up the LibDems’ manifesto promises -taxes, VAT, tuition fees, bankers’ bonuses, cutting rail fares, blah blah only words. They didn’t have to mean what they promised. Well they didn’t. Where is the UK economy going? Who knows, least of all the organ grinder Chancellor Osborne and his monkey Alexander. Under their guardianship the UK has lost its triple A status. This means we can expect far harsher measures to come, imposed by LibDems and Tories in their desperate attempt to prevent the economy spiralling into freefall. All their bluster that an independent Scotland would suffer because of its inevitable loss of the Triple A has been quietly forgotten by our flexible friends. 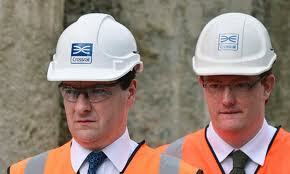 Now Danny Alexander tells us that credit ratings aren’t ‘the be all and end all’ Just words. They don’t believe them why should we? Despite being hoist by his own petard Alexander insists it will always be worse for an independent Scotland – that Scotland has ‘no track record’ (of major debt) so will find it difficult to borrow to pay back debt. You can’t say that the LibDems don’t have a track record – in not meaning what they say, in promising anything to capture votes, of slithering this way and that to keep in with their coalition colleagues, whoever they are, for the LibDems are not fussy who they share power with – they just love it. Those limos. Last week with breathtaking hypocrisy Nick Clegg accused Salmond of sending out mixed messages – over independence. Mixed messages are precisely what you get from LibDems who still like to claim the moral high ground. He warned the Scottish people that it will be very difficult for a Scottish government run its offshore oil industry ‘on its own’. You might think, well at least we wouldn’t have Osborne and Alexander. Then again, according to the LibDems, it is not Scotland’s oil at all but it could be Shetland’s and Orkney’s revealing again that they will say anything, absolutely anything because as we know the LibDems don’t join up the dots when it comes to principles or policies. I don’t think Clegg knows much about Scotland. I doubt it’s high on the agenda ‘back home’. Certainly hasn’t been in the past. That doesn’t stop him from issuing a warning that we can’t believe anything the SNP say. Well no – not everything but some things we can and other things we see with our own eyes. And anyway independence is not just about the SNP. There are nationalists who don’t vote SNP. We know what’s going on in Scotland unlike Clegg. What we can also see is that other track record of the LibDems – broken pledges and their dodgy manifesto. I suppose some politicians believe the lies they tell us. Doesn’t mean we have to. The LibDems are a moderating influence? The evidence tells us otherwise. The LibDems are responsible, along with the Tories, for this determined shift in the economic balance so that the greater share of profits goes to capitalists at the expense of Britain’s working families and pensioners. Irrespective of their bluster LibDems are the facilitators of austerity Britain.